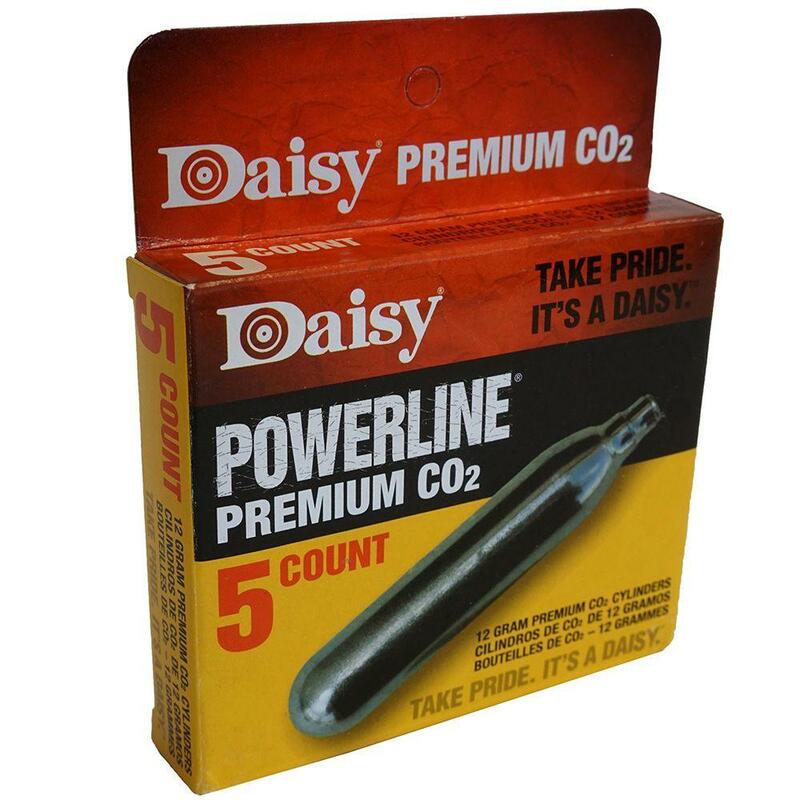 Buy Cheap Daisy 106 PowerLine CO2 Cylinders 5 pieces |ReplicaAirguns.ca | Easter Weekend Sale! Comments: Keep your high performance, gas-powered air guns operating smoothly with Daisy PowerLine Premium 12 gram CO2 cylinders. These handy replacement cartridges have a stainless steel finish and provide a snug fit and solid seal for a reliable, consistent performance in almost any CO2 gas-powered gun. This product also comes in a 15-Pack, 20-Pack, 25-Pack, 50-Pack, and a 500-Pack. works great for the price. everything is good. The reason I can not give a simple answer is because there are many factors involved that determine how many shots you can expect to get not only from different guns but also on different days in different shooting situations. I can tell you that one 12 gram CO2 cartridge can deliver as few as 30 shots to as many as 200 shots from an airgun. Let’s talk about why there is such a variation in how many shots you can expect from a 12 gram CO2 canister? Watch my YouTube Video to find out more factors that will determine how much CO2 is used up while shooting a CO2 Airgun.